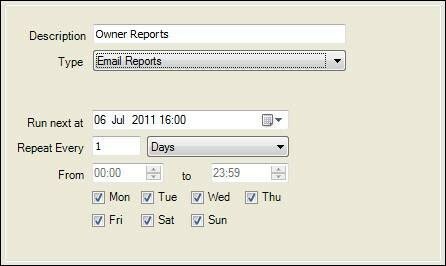 Schedules Module allow you to set up specific reports that can then be printed or emailed at set times and recurrences. You can create as many schedules as required, each with their own schedule settings. Any report that can be printed in Idealpos can be added to the schedule reports feature. When selecting a report, you can choose any of the sorting and grouping options which are stored and used when the schedule is run. Other configuration options can be set including the run time interval, email address and email message. Multiple reports can be attached to a single email schedule.